544 p., 3 ill., 2 Lesebändchen, 12,7 x 17,8 cm. In the 17th century, these four anonymous works triggered a flood of missives to the – nonexistent – »Brotherhood of the Rosicrucians«, thus having a formative influence on the typical image of a secret society during the ensuing period. This applies in particular to the ›Fama‹ and the ›Confessio‹, which describe the life of the founder, Christian Rosenkreuz, and call for theological, scholarly and also political reforms. The ›Chymical Wedding‹ is one of Andreae’s long early works, which incorporates an allegory of the alchemical Ergon into a visionary frame story. The ›Reformation‹ is the German translation of an Italian satire by Trajano Boccalini. 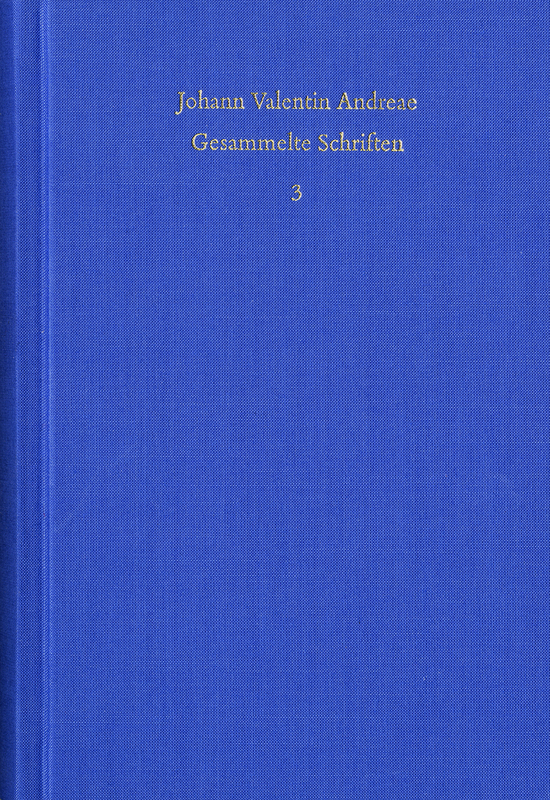 In the introduction, Roland Edighoffer, who consulted all the available editions and transcripts for this edition and gives a critical analysis of the variants, discusses the difficult question of Andreae’s part in the Rosicrucian phenomenon. Eine beachtliche und beeindruckende Leistung, die Roland Edighoffer mit der Herausgabe der Originalschriften der Rosenkreuzer abgeliefert hat. [...] Edighoffer weist sich als profunder Kenner aus, der dem aufmerksamen Leser die rosenkreuzerische Symbolwelt näherbringt. The editions prepared by Edighoffer represent fine work, carried out to an impeccable standard. [...] this is an excellent edition of the manifestos, which will surely become a crucial and definitive reference for those interested in the textual history of the initial declarations of the fictional Rosicrucian Brotherhood. [...] Going forward, Edighoffer’s fine textual work on the manifestos will no doubt serve as a cornerstone of further research in this interesting field. Die Textgeschichte des Rosenkreuzercorpus [ist] nun in einer vorher nicht bekannten Vollständigkeit und Sorgfalt dokumentiert. [...] Die Erforschung esoterischer und okkulter Subkulturen – ein immer wichtigeres Gebiet der kulturwissenschaftlichen Neuzeitforschung – erhält mit dem vorliegenden Band eine verlässliche und solide Ausgabe eines grundlegenden Textcorpus an die Hand. The work has been carried out meticulously, and the principal editions set out here will most probably serve as the standard from which future citations will be drawn. »Die beiden mustergültig vorbereiteten Bände der Andreae-Edition bieten also zweifachen Gewinn: Erstens wird die Erforschung des frühen Rosenkreuzertums auf eine solide Basis gestellt, zweitens liefern sie ein Übersicht über die sich seit den Rosenkreuzerschriften formierende gedankliche Entwicklung einer christlichen Reform, die bei Andreae bis zu utopischen Gesellschaftsplänen führte. Die beiden Bände der großzügig angelegten Andreae-Edition stellen somt einen wichtigen Beitrag zur Geschichte der Frühen Neuzeit dar und lassen auch für die künftigen Bände nur das Beste hoffen.